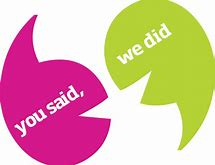 We are continually working with parents, young people with SEN or Disabilities and organisations to improve your Local Offer. We would love to hear what you think about this website. All feedback is viewed and will be used to enhance our directory. 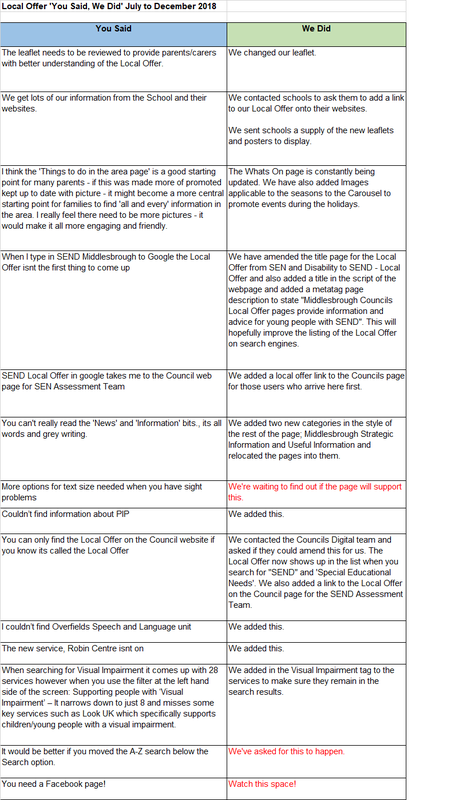 Can you create a link school's Local Offer documents on their websites. Parents need to know if day nurseries and childminders cater for children with disabilities. 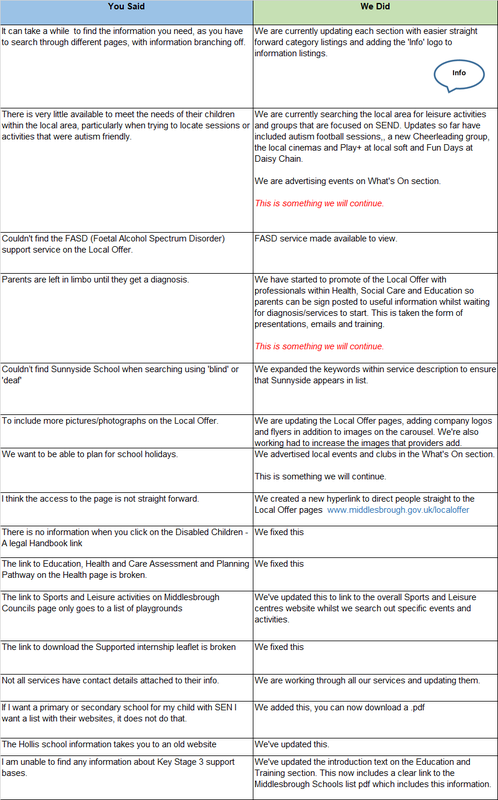 We wrote to all childcare providers and asked them to provide details of their local offer, which have now been published. We need information on auxilliary aids. We improved our keyword search for this. The youth club we go to is not on the website. When I googled Middlesbrough's Local Offer it wasn't first on the list. We investigated this. The LO which was first on the list was a paid for advert. Middlesbrough's was first underneath this. UPDATE: Middlesbrough's Local Offer is now first on the list. We added information about the Disabled Students' Allowance. I can't view the site on my tablet or phone. We have re-built the site and you can now access it on mobile devises.